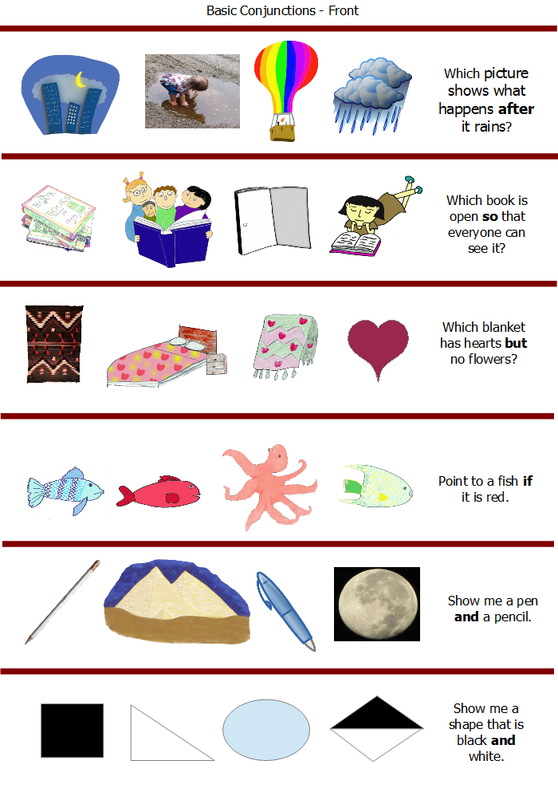 Here’s some suggestions on gaining comfort with teaching language. 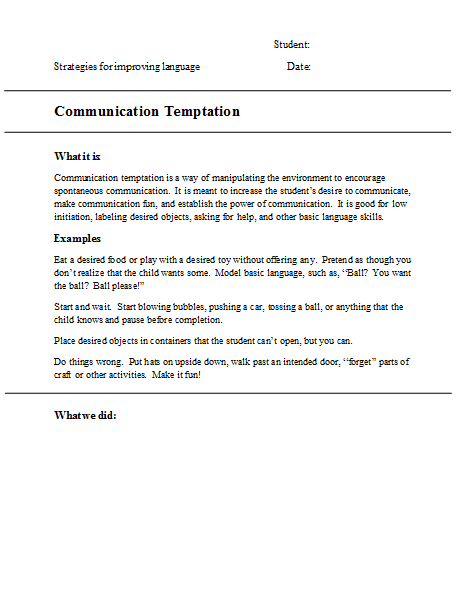 Here’s the PDF file. 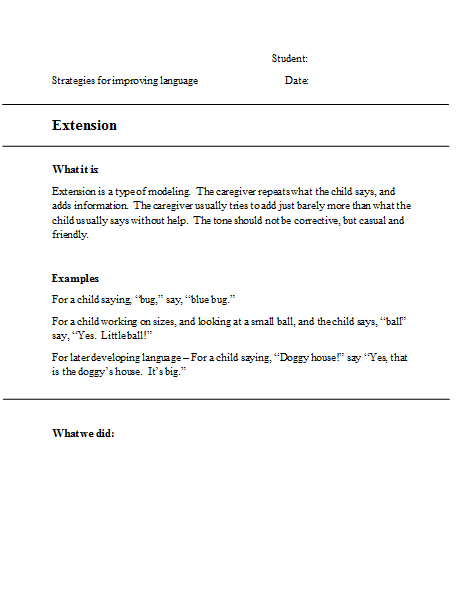 Here are the links to The Language Fix’s Getting Comfortable with Language Therapy and Objective Language Therapy. 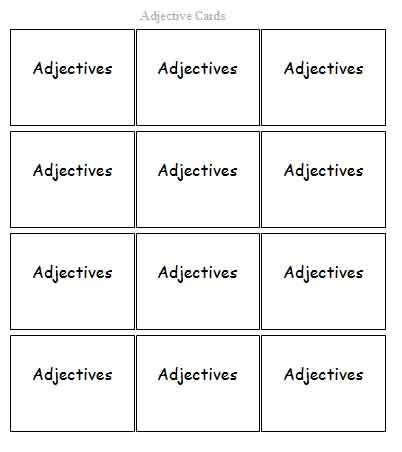 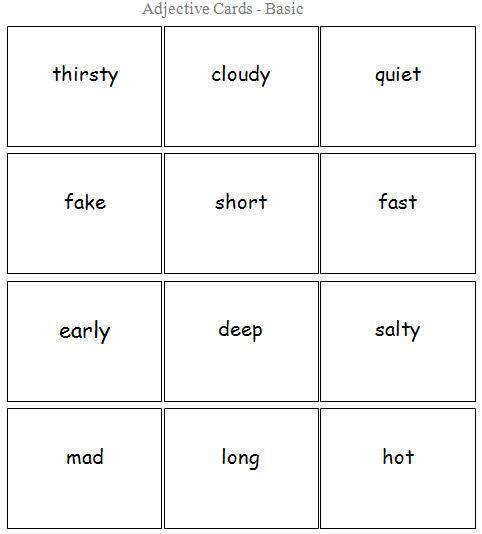 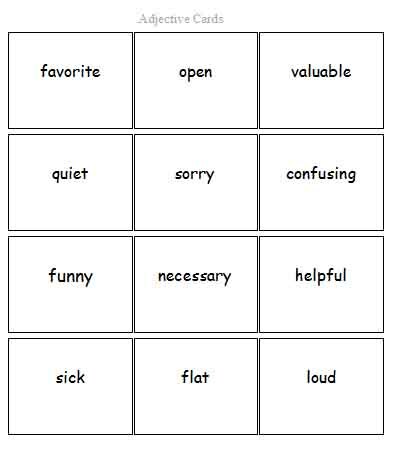 This bingo game includes lots of comparatives and superlatives and is a great activity to help improve comparing concepts! 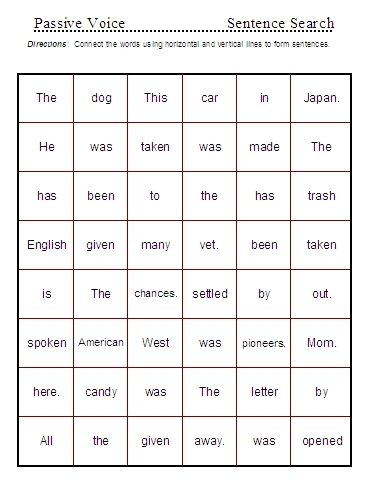 If you enjoy this free Bingo game, please consider trying some of the other VERY affordable Bingo games from my Language Galore Teachers Pay Teachers site. 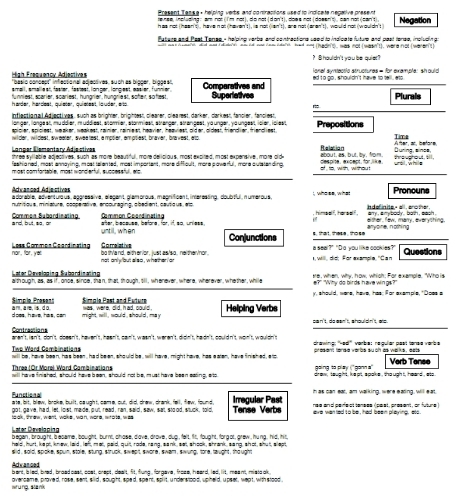 The game has five “boards” (although you can use regular paper if you want), and two pages of stimulus cards – 32 total cards. 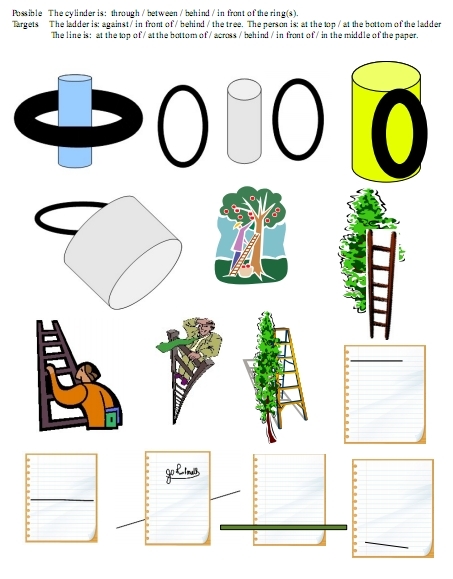 Use small bits of paper, coins, or just about anything for tokens. 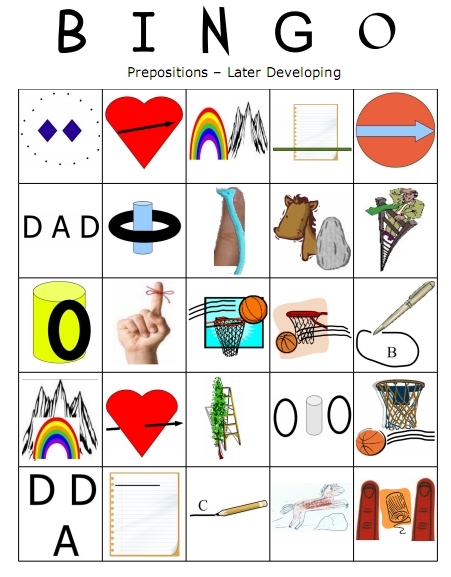 Total prep time should be just a couple of minutes to print the boards and cards and cut out the cards. 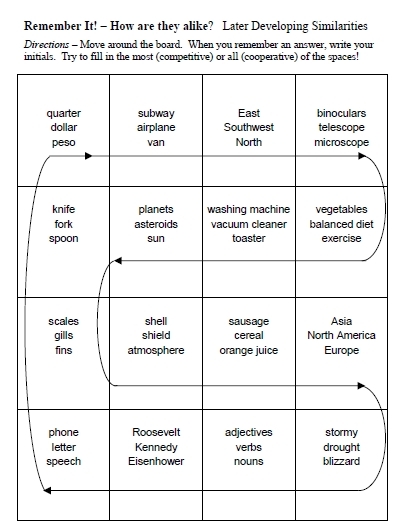 This entry was posted in bingos and tagged -er words, bingo, comparatives and superlatives, comparing concepts on Saturday by Paul. 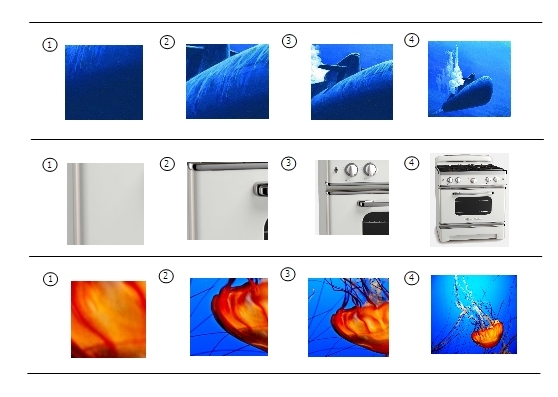 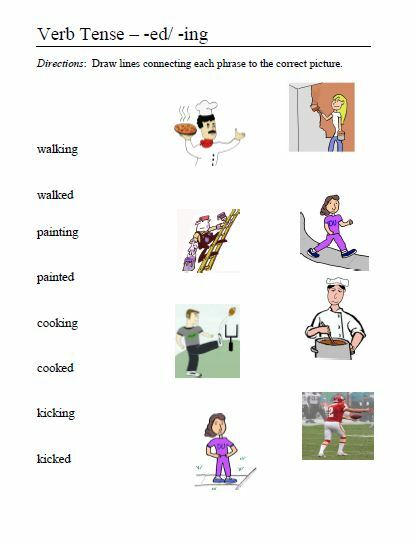 Each picture is a png format preview of the activity which can be downloaded by clicking the corresponding Doc or PDF link below. 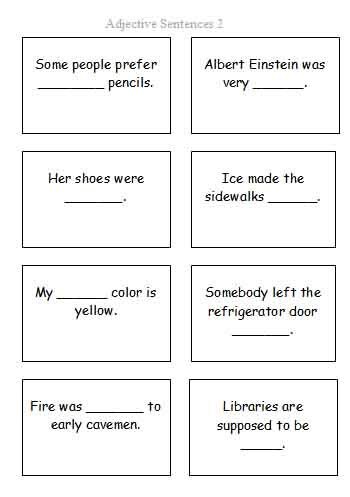 Many more puzzle activities for the “R” and irregular past tense verbs can be found at my new Teachers Pay Teachers Store! 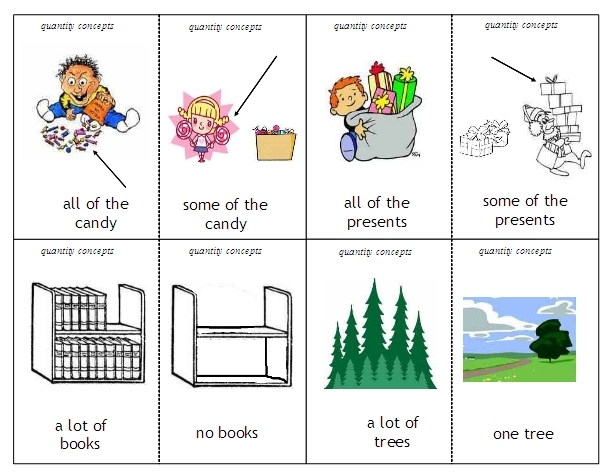 These conjunction printables are generally easier toward the left, and more complex toward the right. 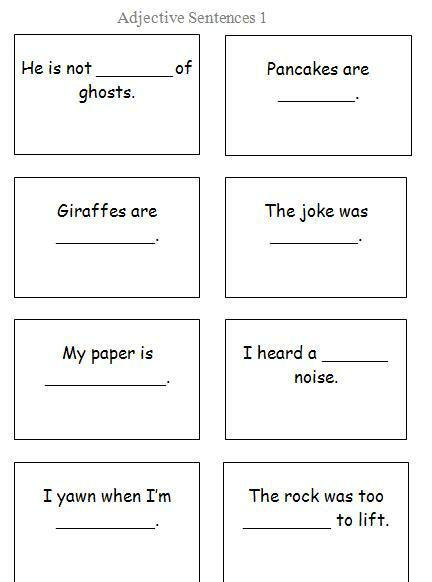 They could be laminated, cut into strips, or used as worksheets for lots of conjunction practice. 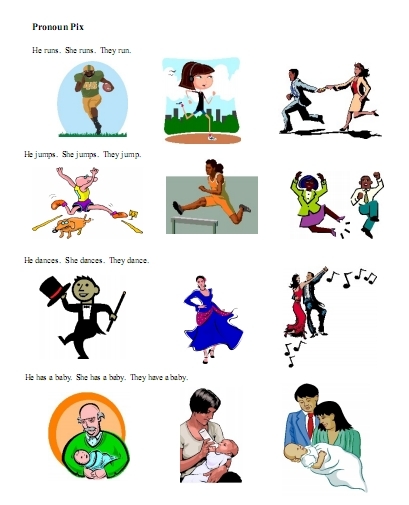 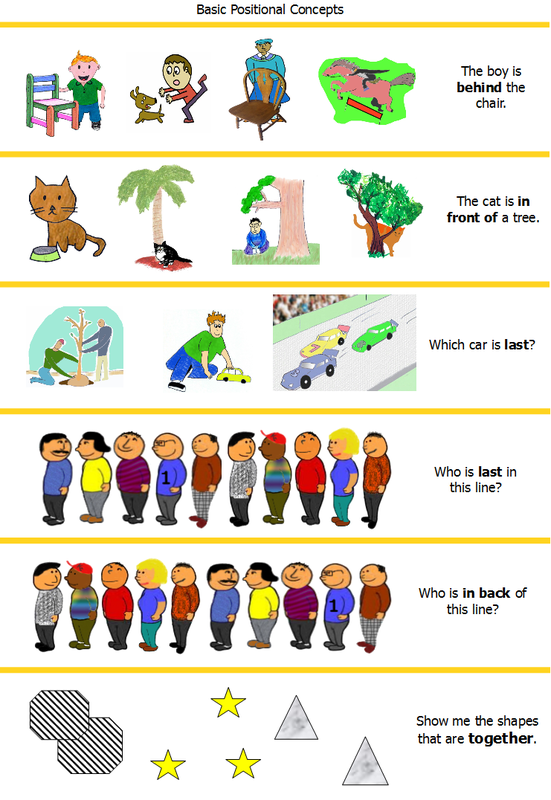 This entry was posted in comprehension strips, picture activities and tagged comprehension activities, conjunctions, expanded sentences, receptive language on Thursday by Paul. 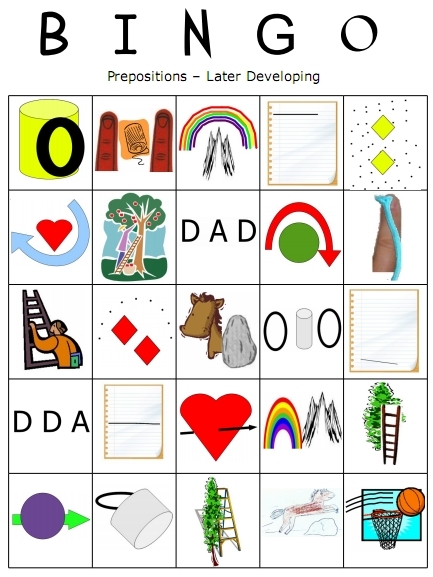 These sheets can be quickly completed after a therapy session and sent home to caregivers as a method of involving parents in language therapy. 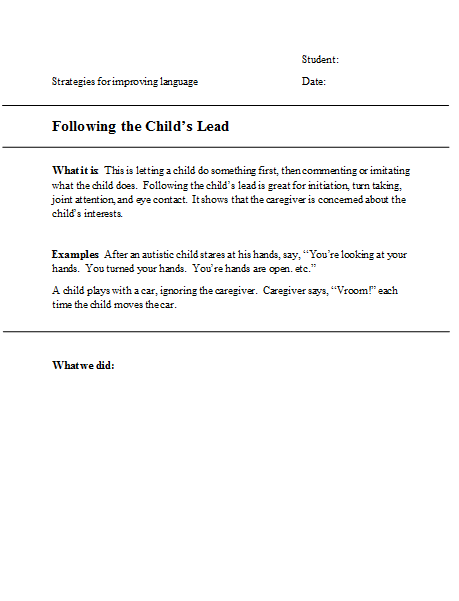 The pictures are links to images, and the words are links to the document in doc format. 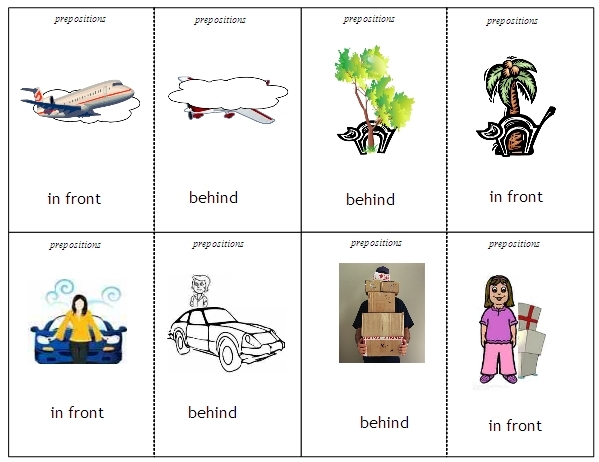 There are many, many location concepts and/or prepositions on these pages…generally the first ones are easier, and the last ones are more difficult. 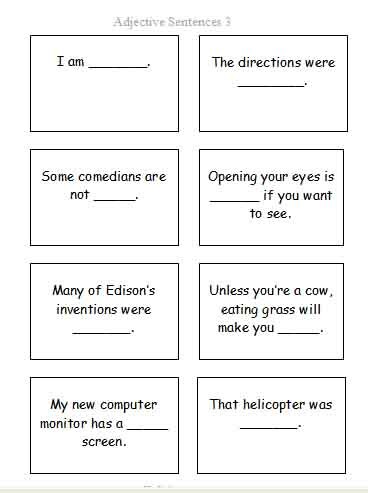 Feel free to laminate them, use them as worksheets, or they could be cut up into small cards. 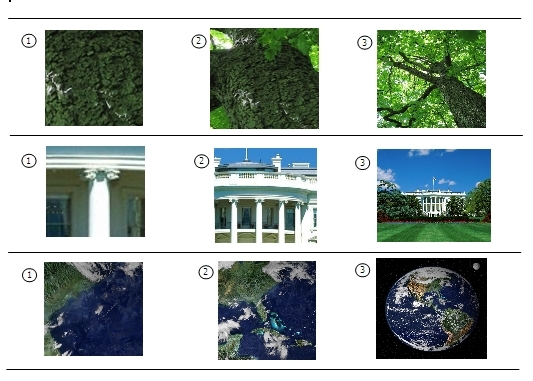 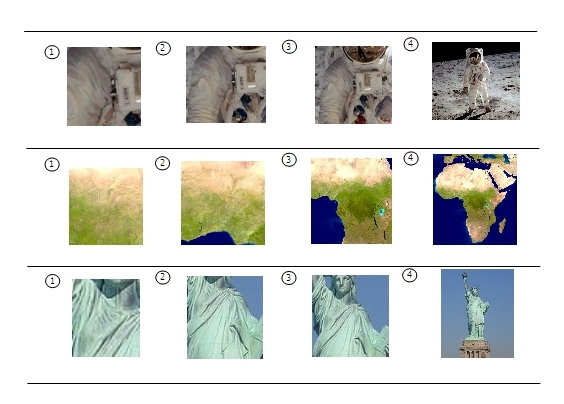 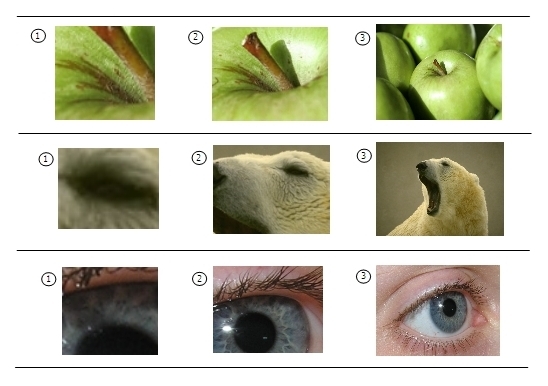 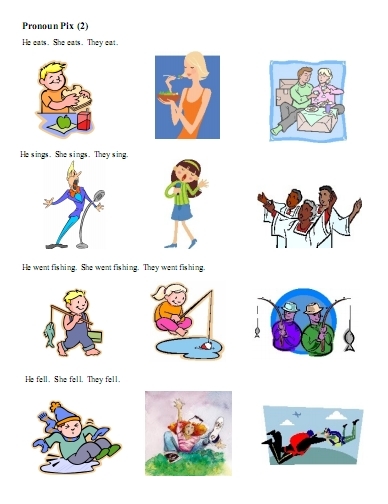 (The thumbnails are of larger picture files, or download in pdf form). 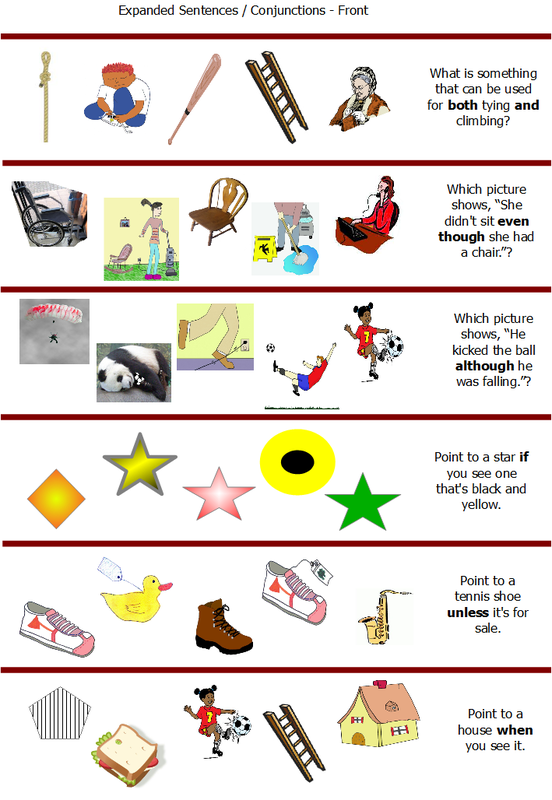 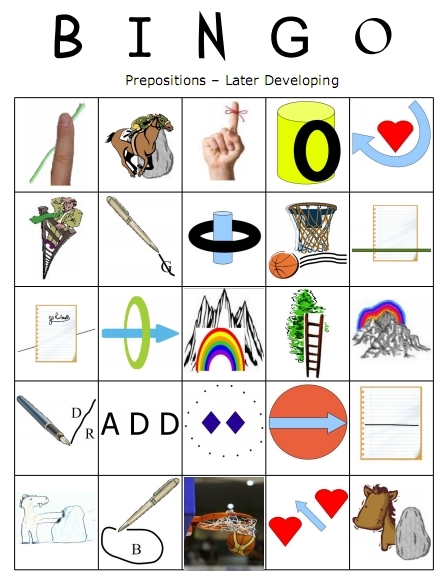 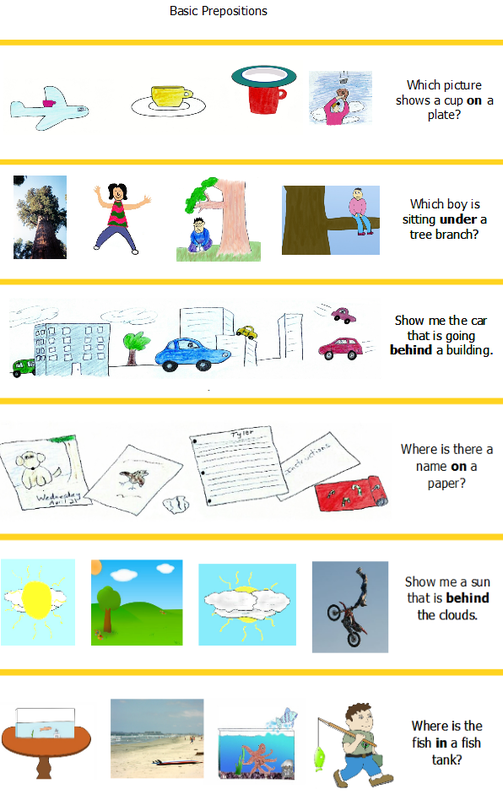 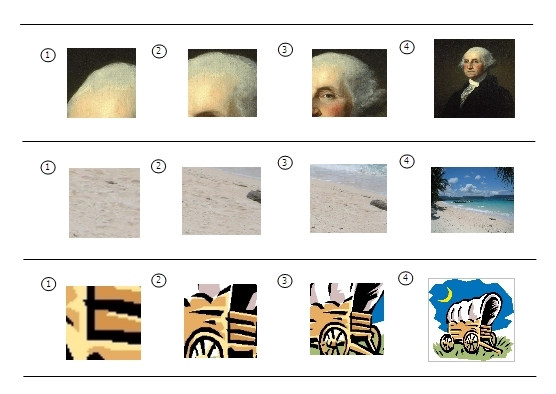 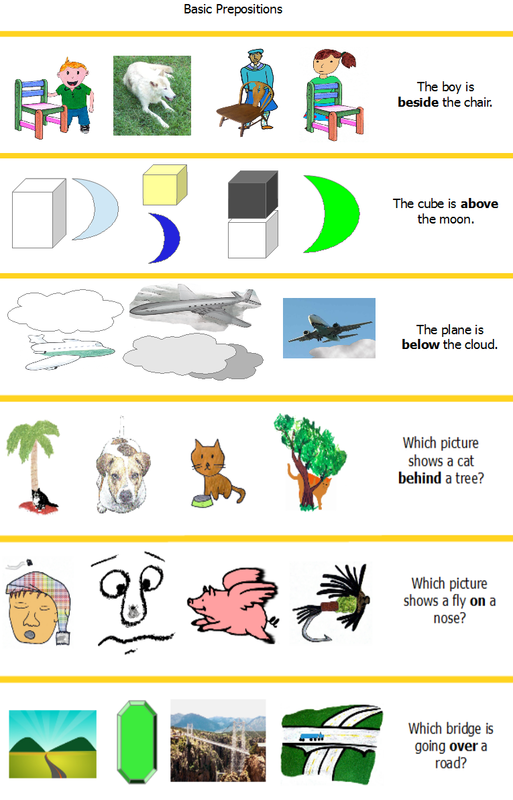 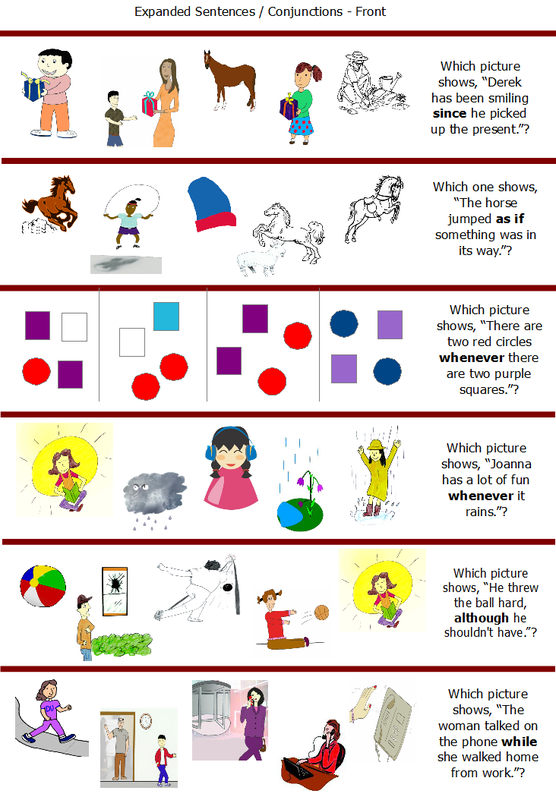 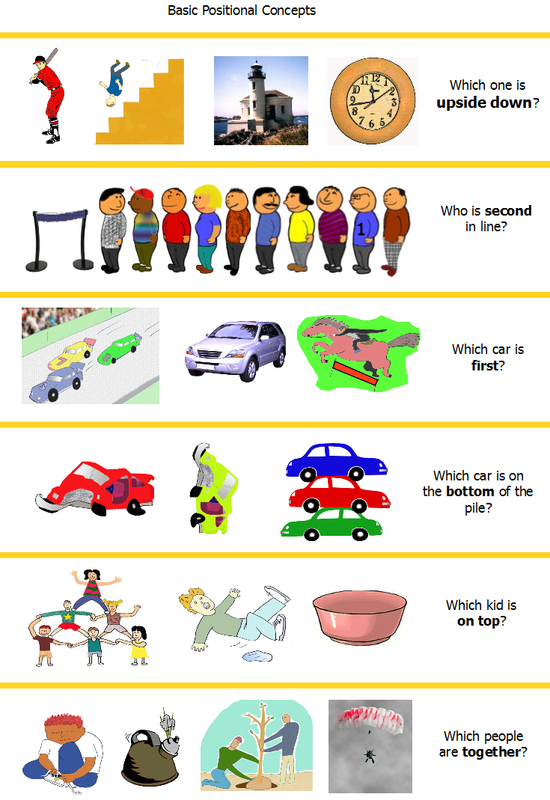 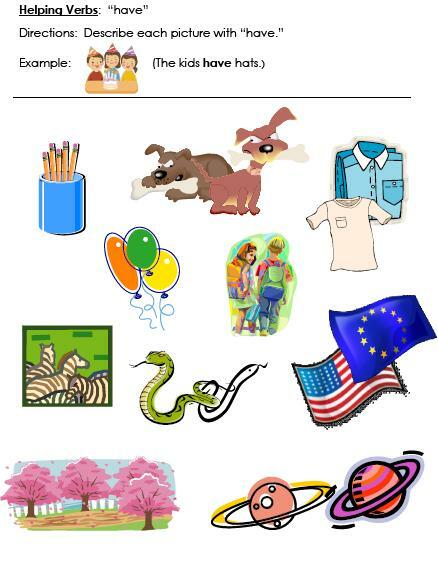 This entry was posted in comprehension strips, picture activities and tagged cards, comprehension activities, location concepts, prepositions on Friday by Paul. 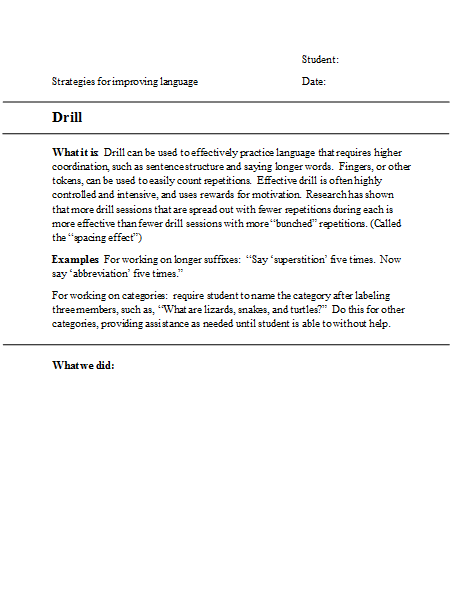 Practice attributes, giving reasons, and/or comparatives/superlatives! 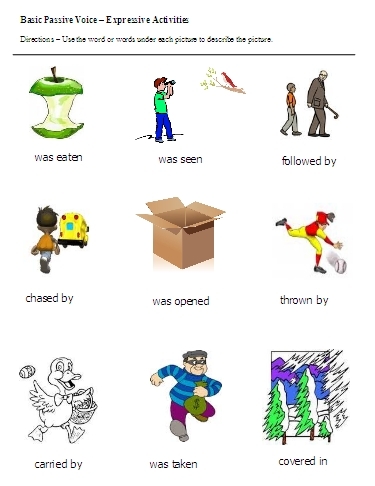 – Click on picture to view a small preview of each activity. 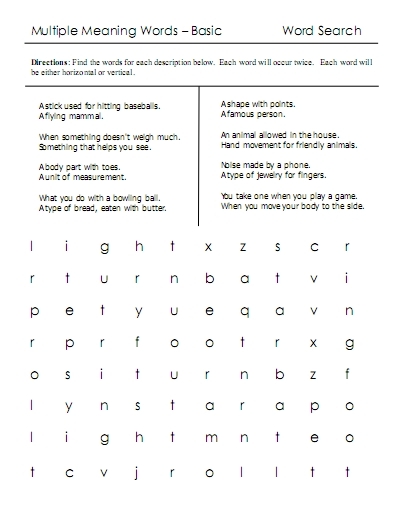 Click on Odt or PDF to download worksheets in preferred format. 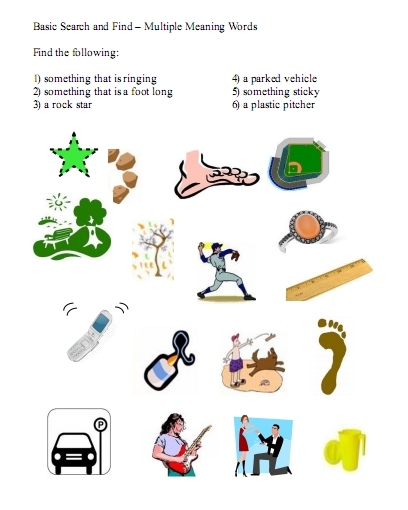 This entry was posted in picture activities and tagged attributes, comparatives and superlatives, giving reasons on Sunday by Paul. 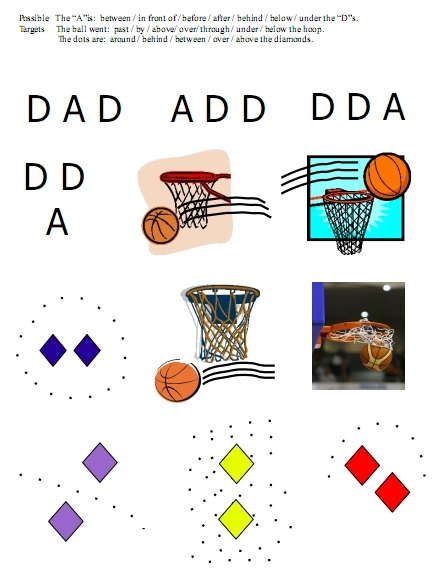 It seems like every time I think I have a basic familiarity with almost all of the autism interventions out there, somebody comes up with one I hadn’t heard of before. 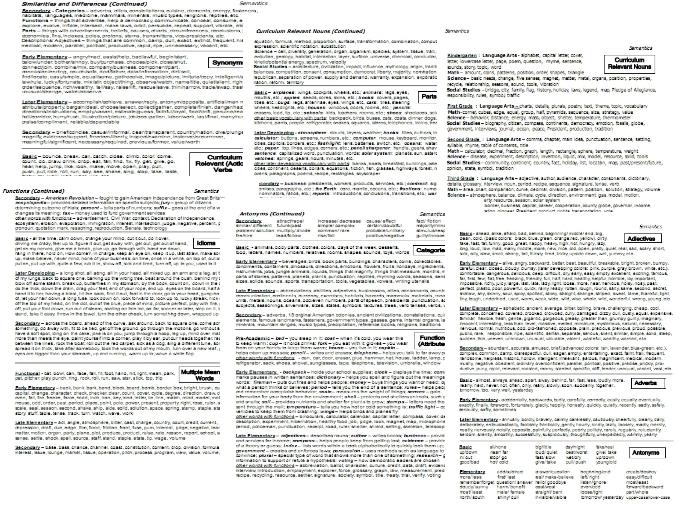 So, I thought it might be nice to have a reference list to quickly look up some, and also to compare and contrast different ones. 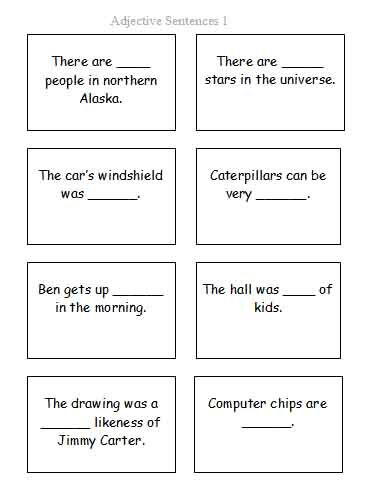 There are a lot. 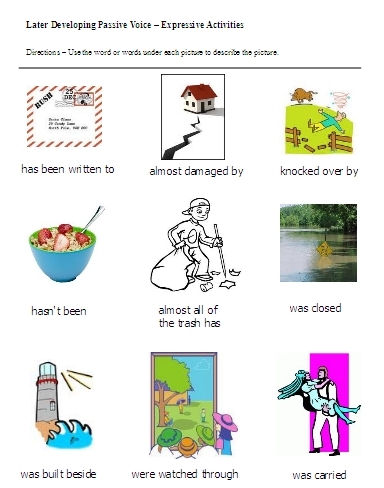 And, my sense is that in ten years half of these will have been replaced. 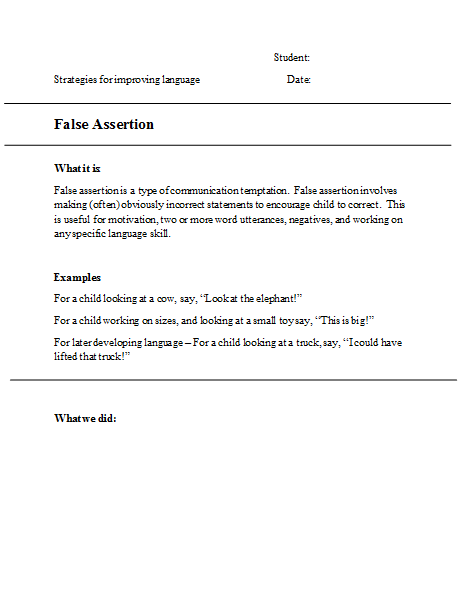 For more on my take on these, please visit my other blog, The Language Fix. 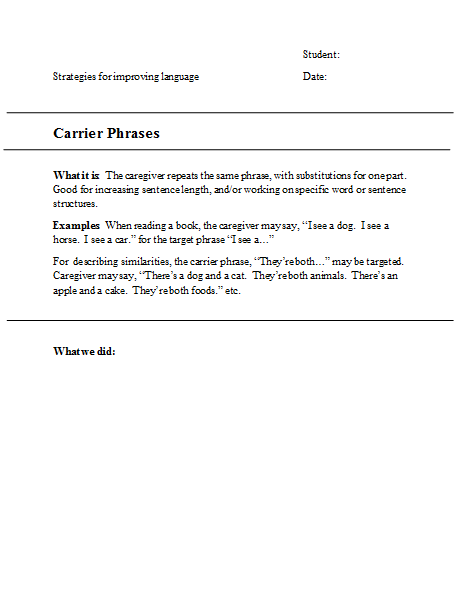 This entry was posted in background info, caregiver involvement and tagged autism, autism activities, autism interventions, autism therapy list, comprehensive autism list, quick guide to autism interventions on Sunday by Paul. 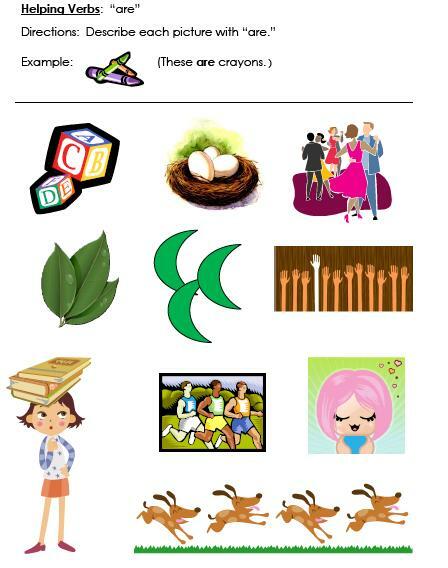 Click on picture to view a small preview of each activity. 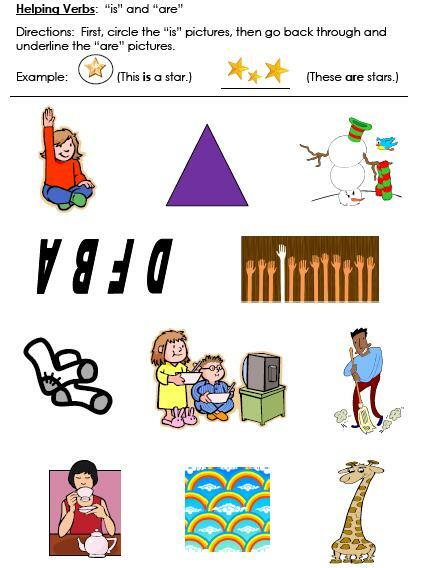 Click on Doc or PDF to download worksheets in preferred format. 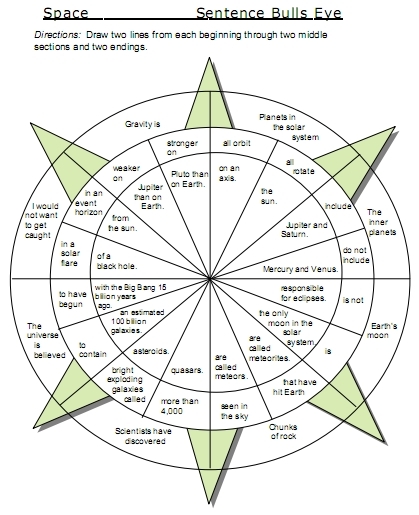 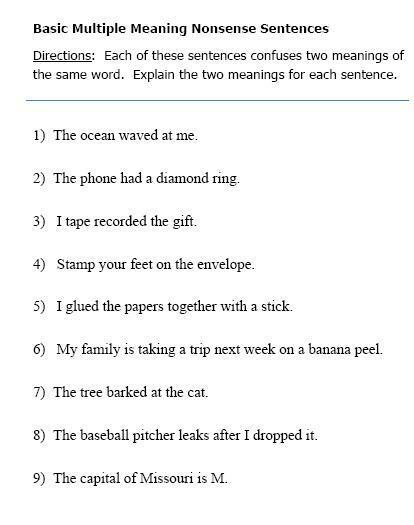 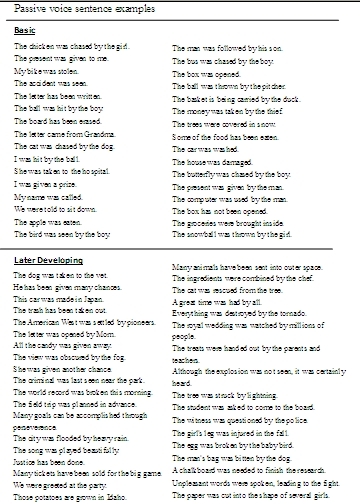 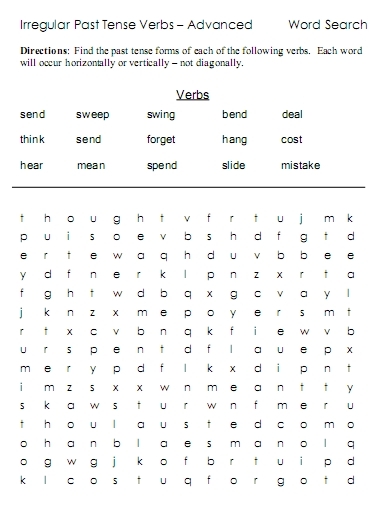 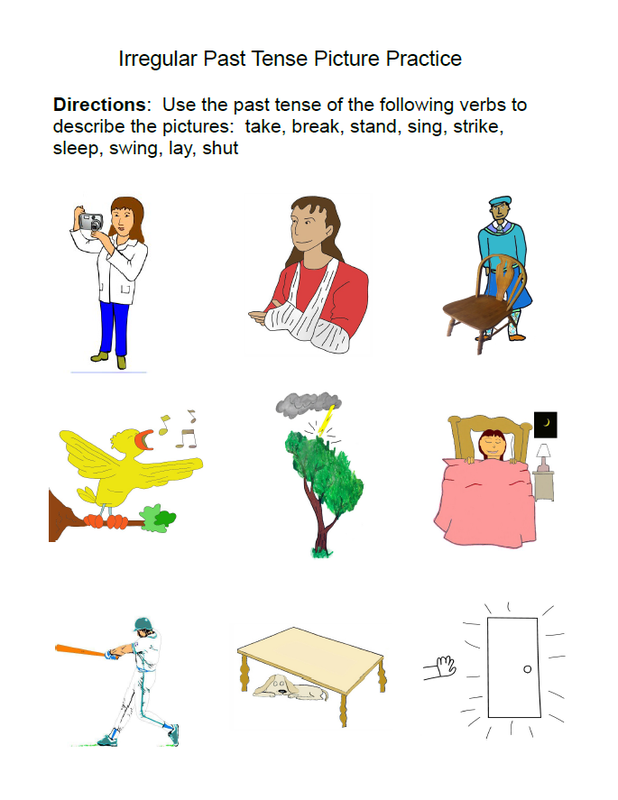 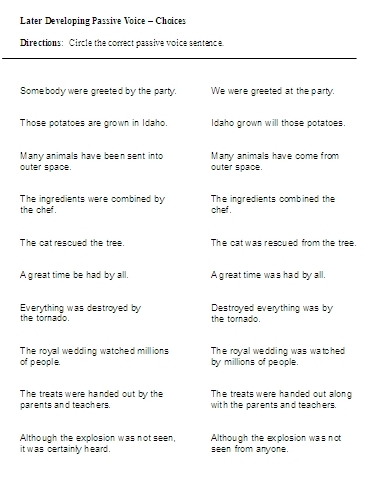 This entry was posted in matching, picture activities and tagged helping verbs, matching, morphology, passive voice, syntax, Verb tense, worksheets on Tuesday by Paul. 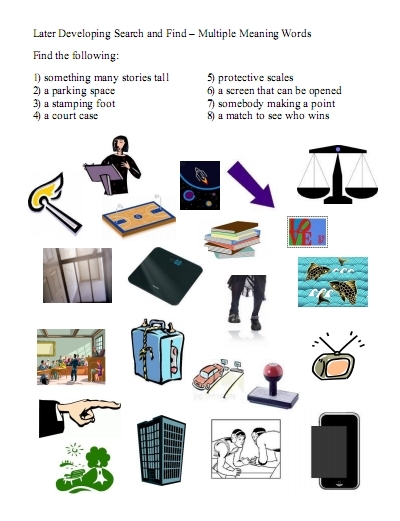 This entry was posted in picture activities and tagged auxiliary verb activities, expressive language, functional word activities, helping verb activities, helping verbs on Wednesday by Paul. 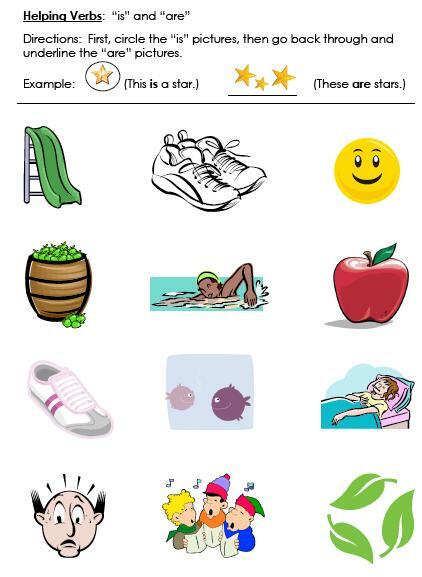 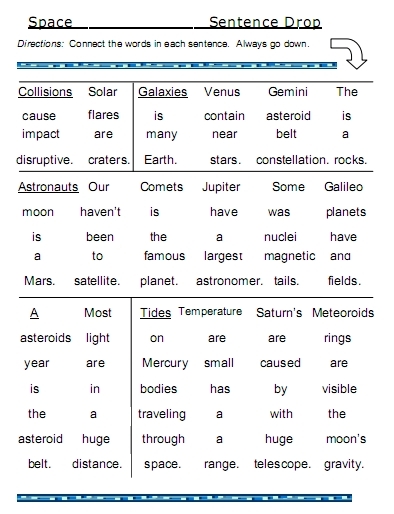 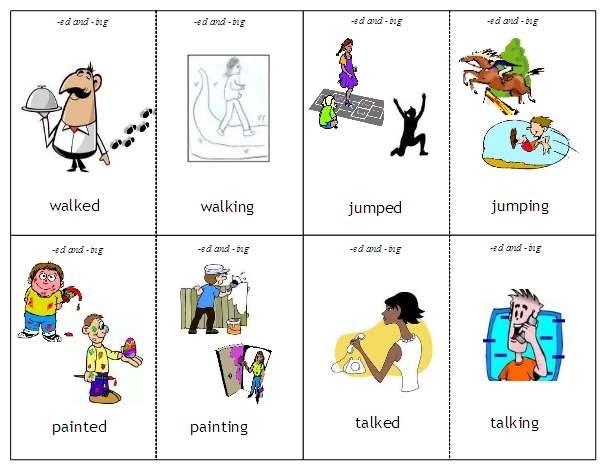 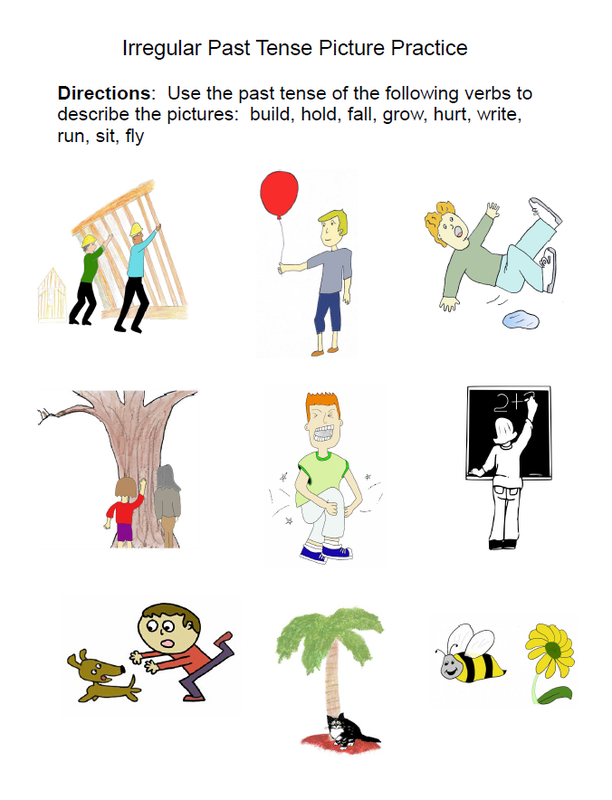 This entry was posted in card activities, matching and tagged adjective activities, describing activities, language flash cards, semantics activities, vocabulary flash cards, vocabulary matching on Monday by Paul. 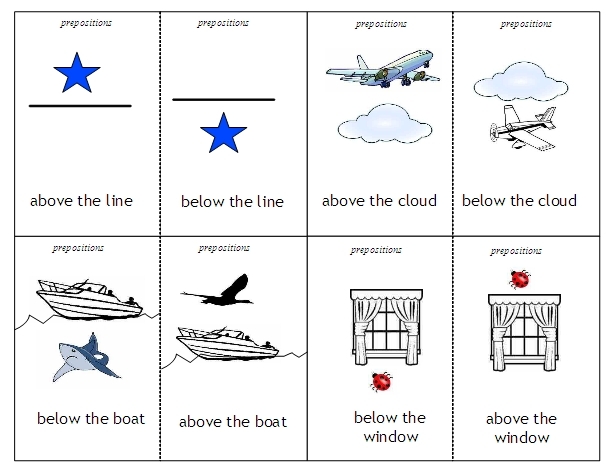 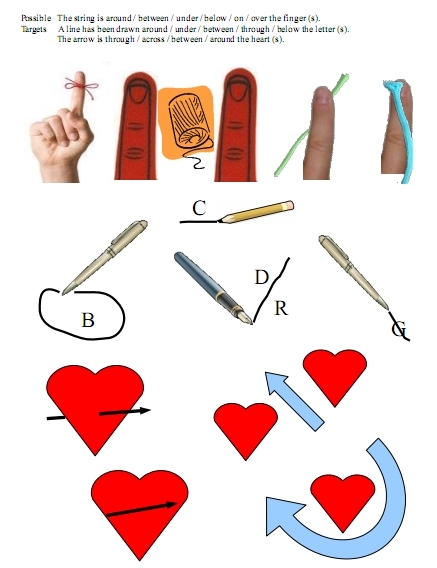 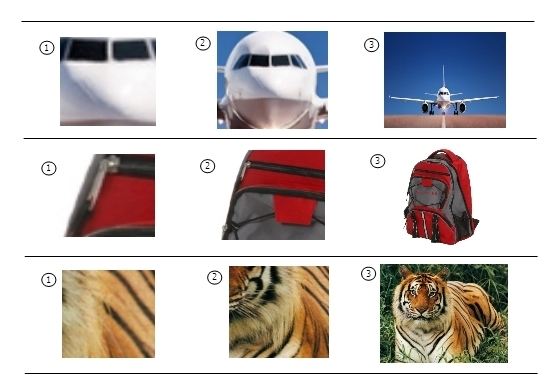 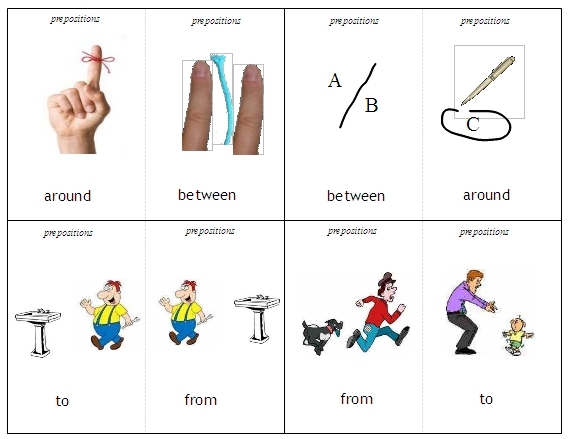 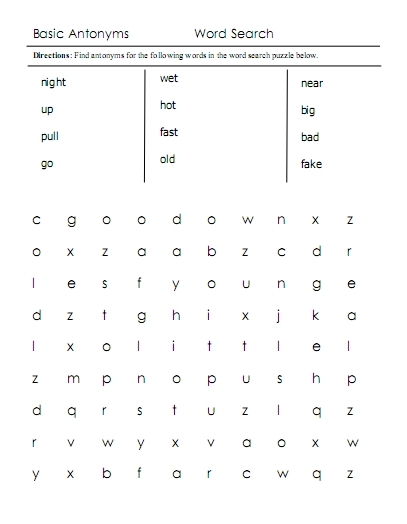 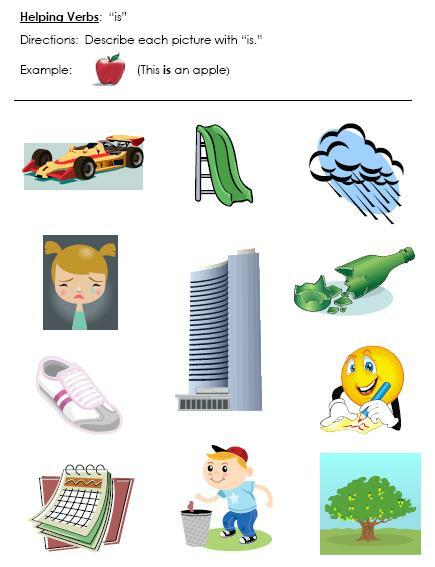 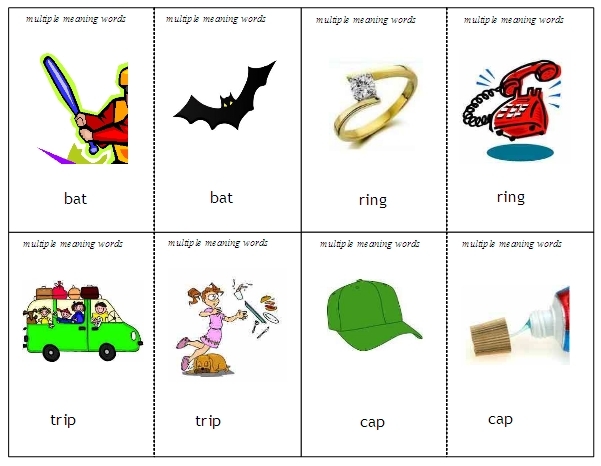 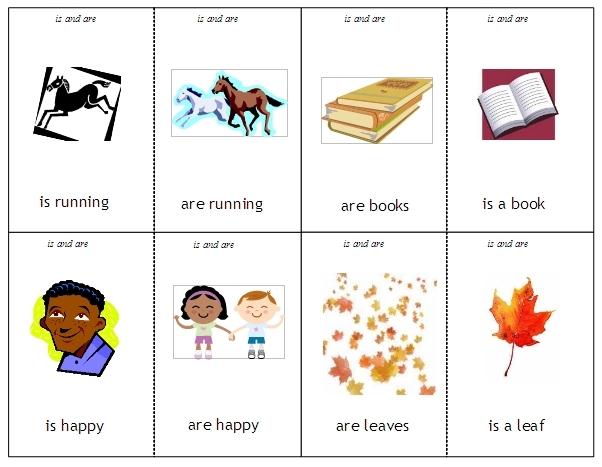 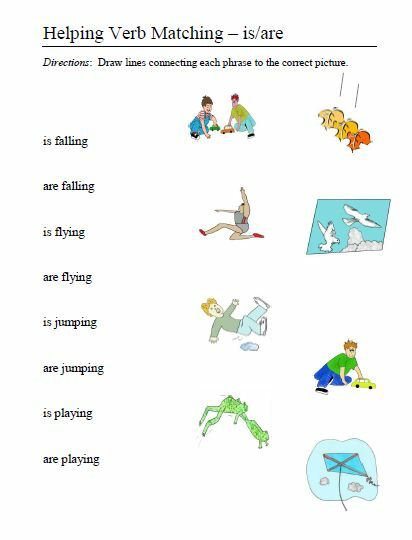 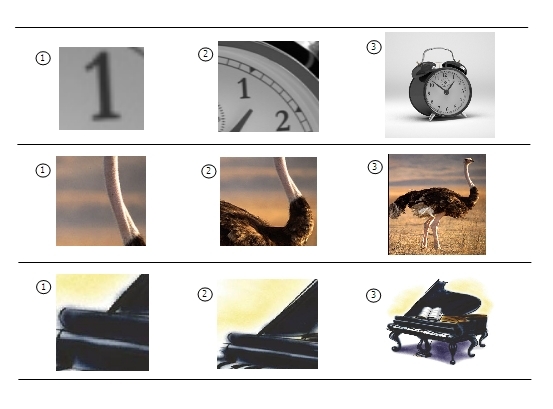 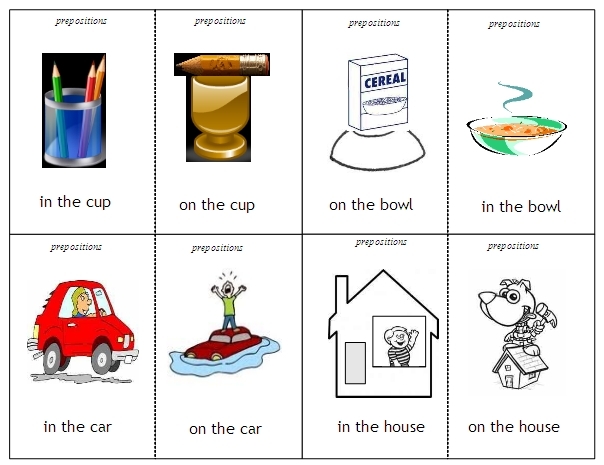 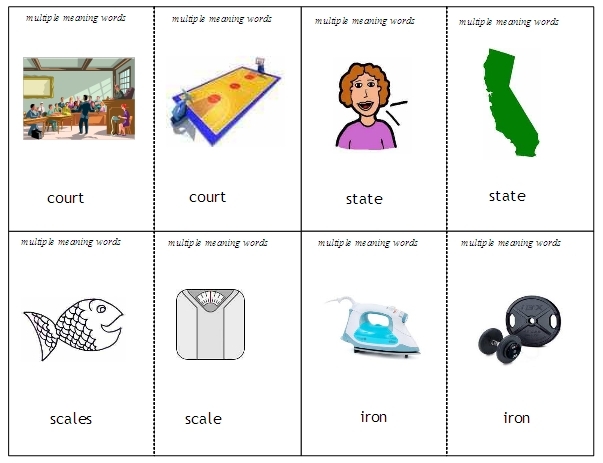 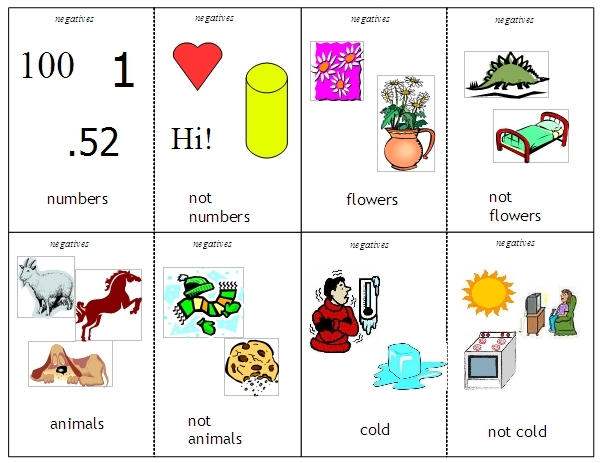 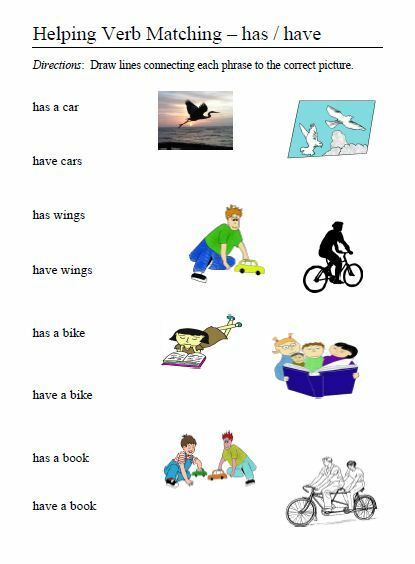 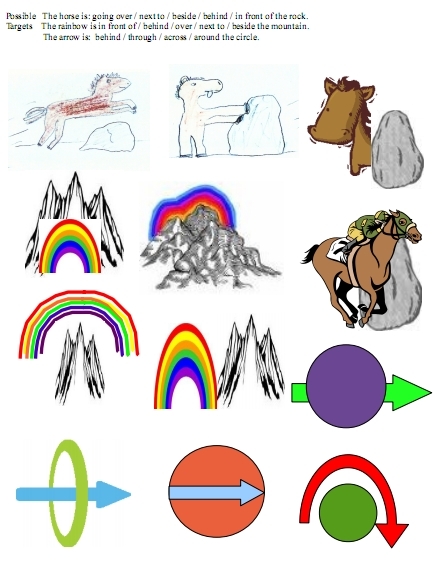 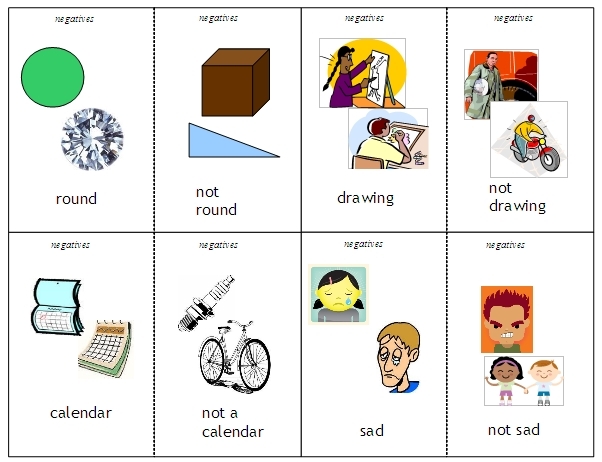 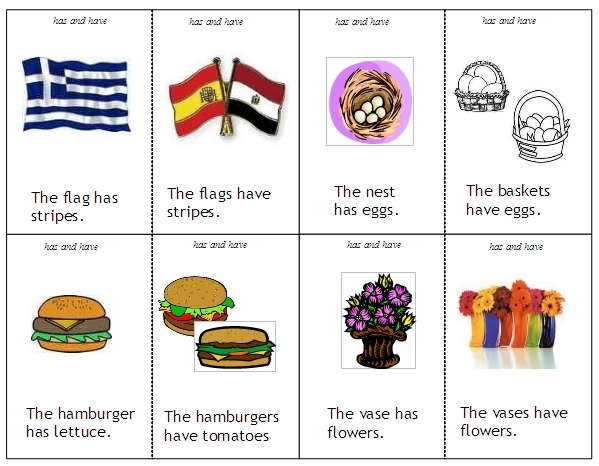 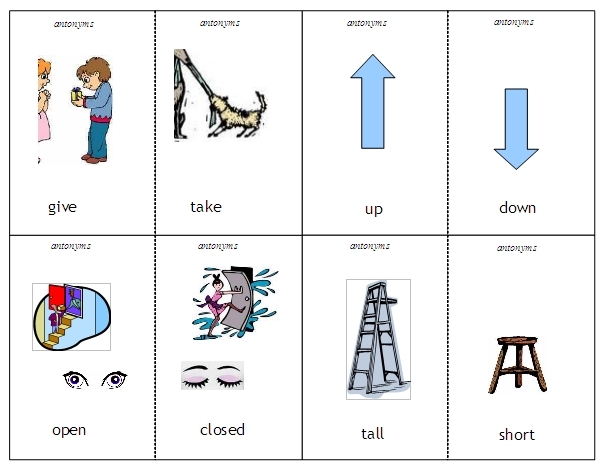 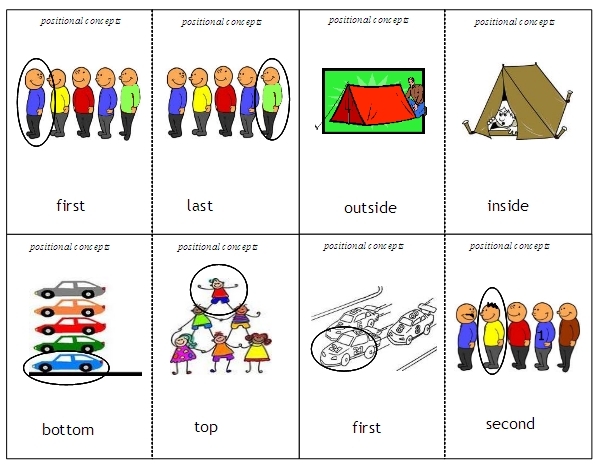 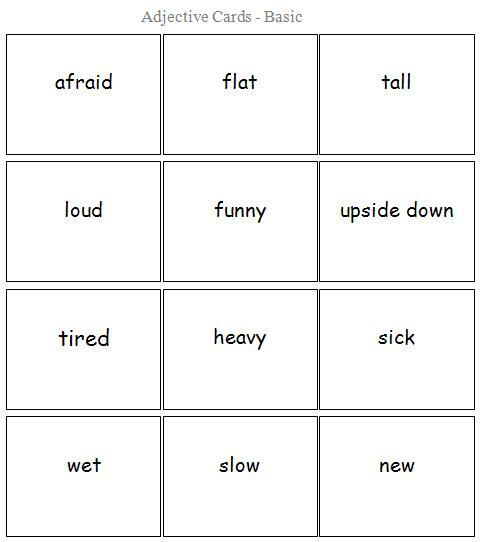 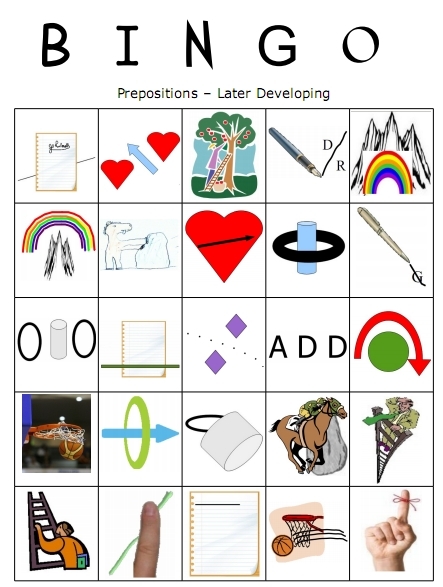 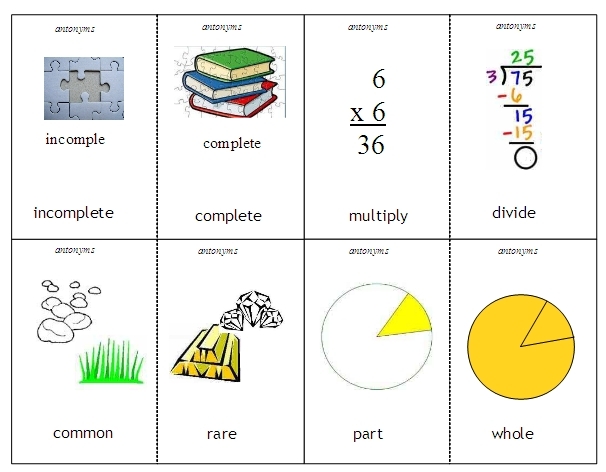 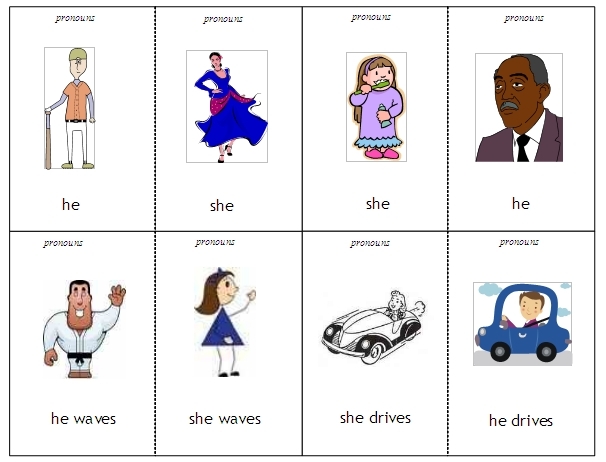 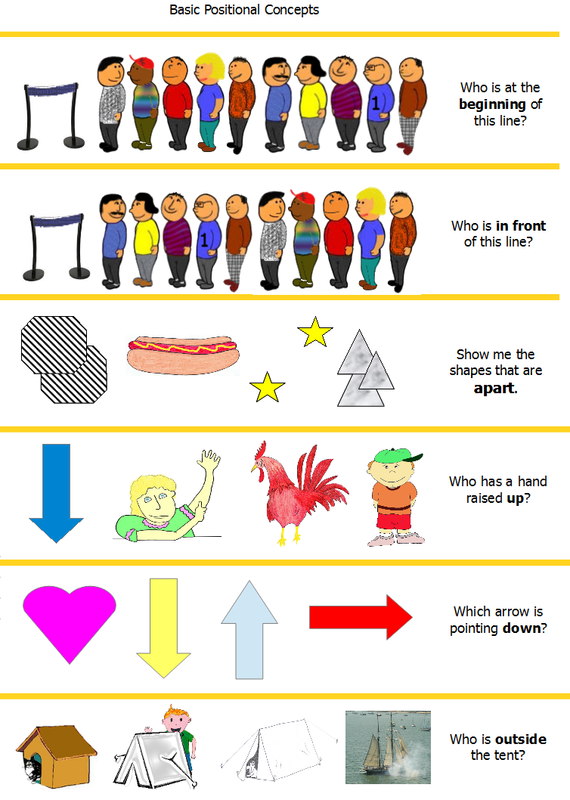 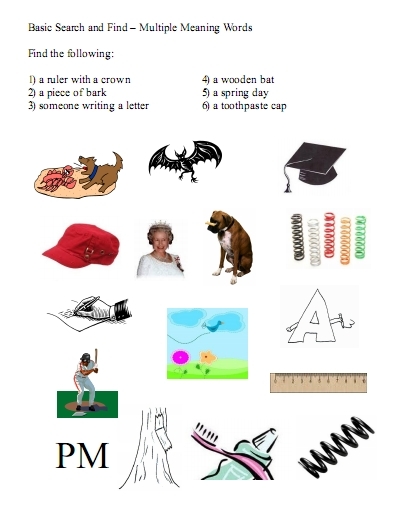 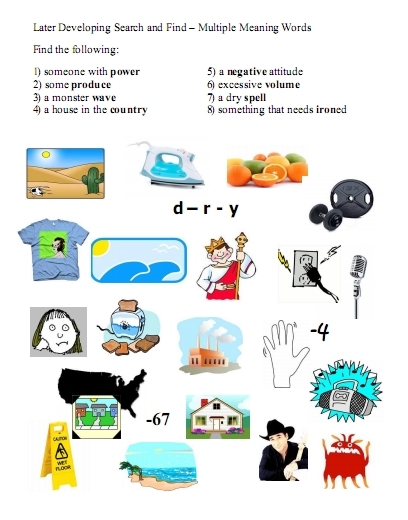 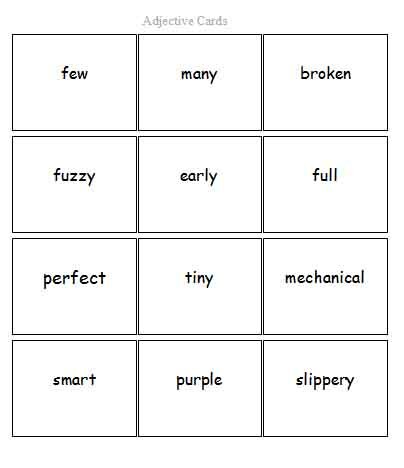 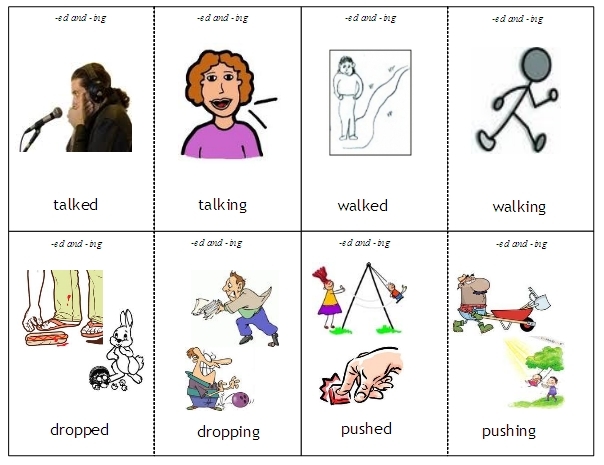 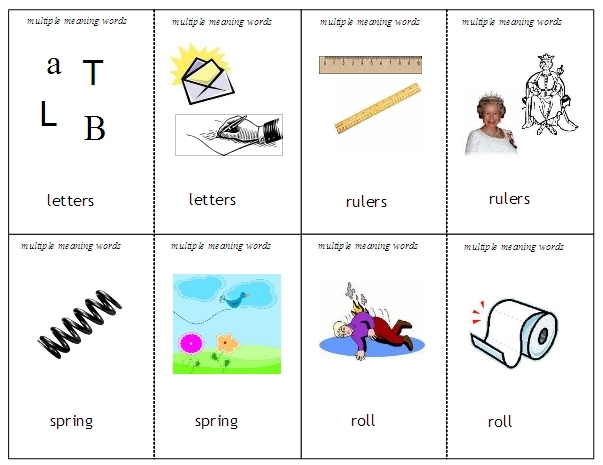 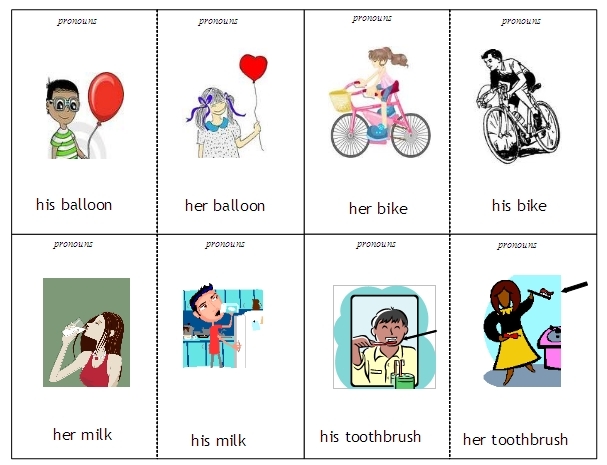 This entry was posted in card activities, picture activities and tagged antonyms, autism activities, language activities, language cards, minimal pair activities, minimal pairs, prepositions, pronouns on Wednesday by Paul. 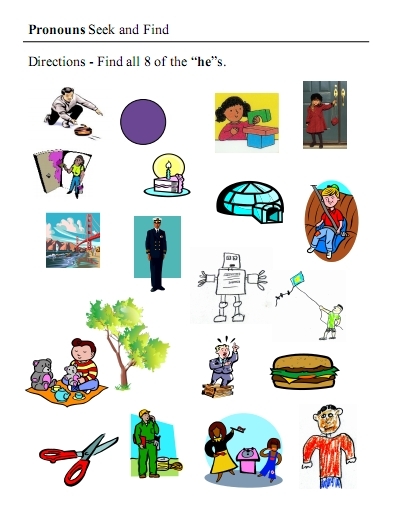 Click on picture to view a small preview of each activity. 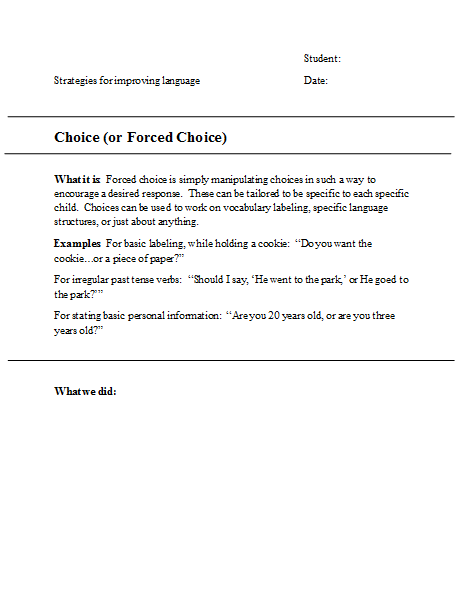 Click on Doc or PDF to download worksheets in preferred format. 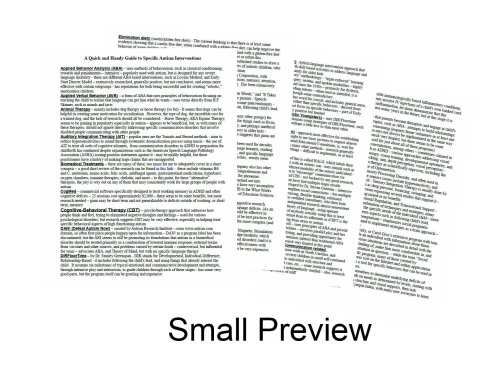 To create the strips, print both sides on one sheet of card stock paper, and cut each paper into three strips. 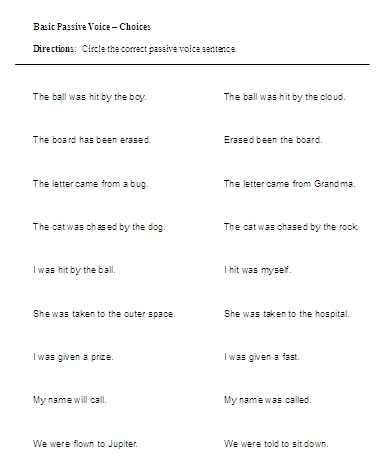 This entry was posted in choices, lists, sentence searches and tagged passive voice, passive voice comprehension, passive voice examples, passive voice printables, passive voice worksheets on Friday by Paul. 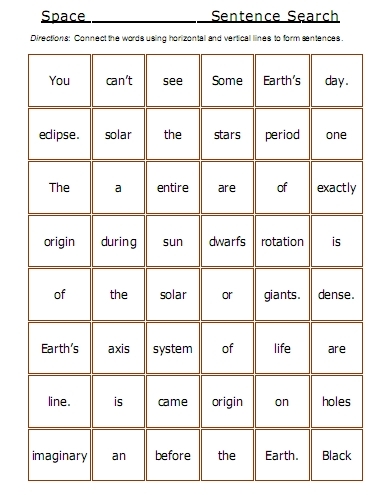 For more bingo activities, click on the bingo link at the top right corner of the page! 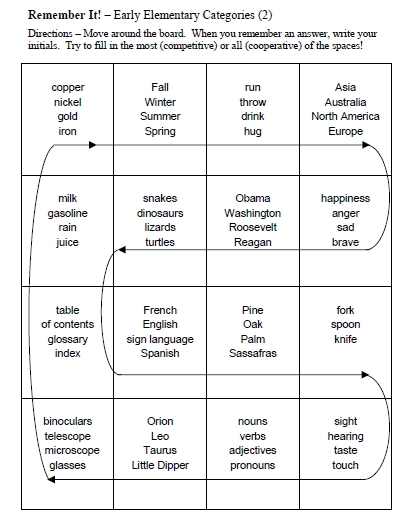 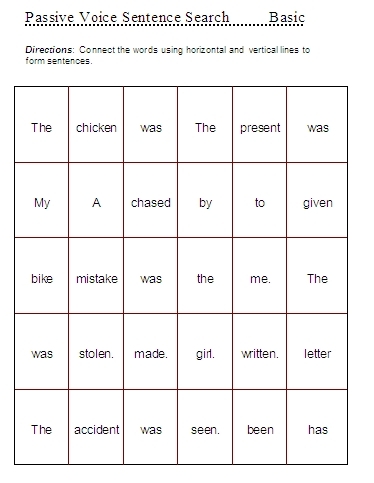 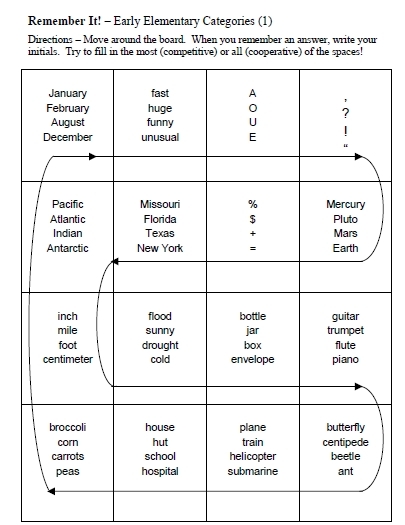 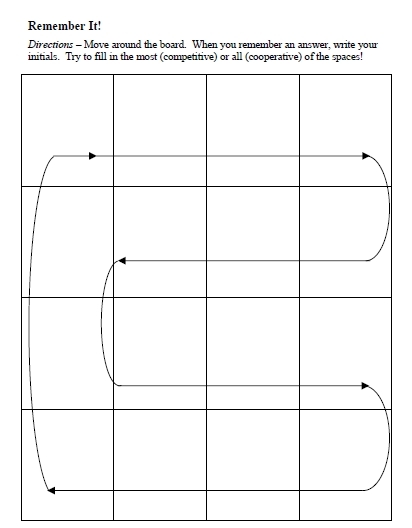 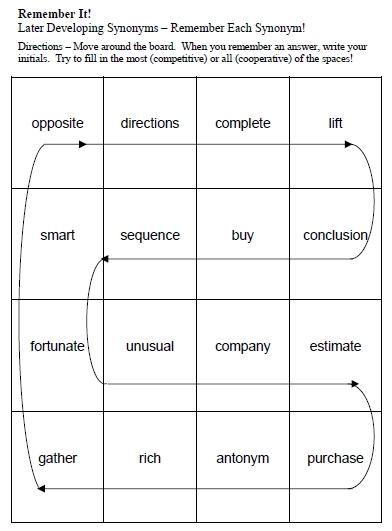 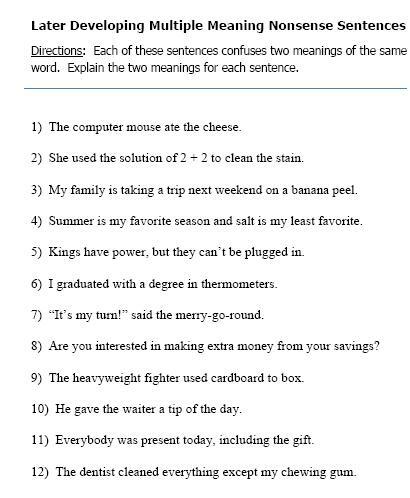 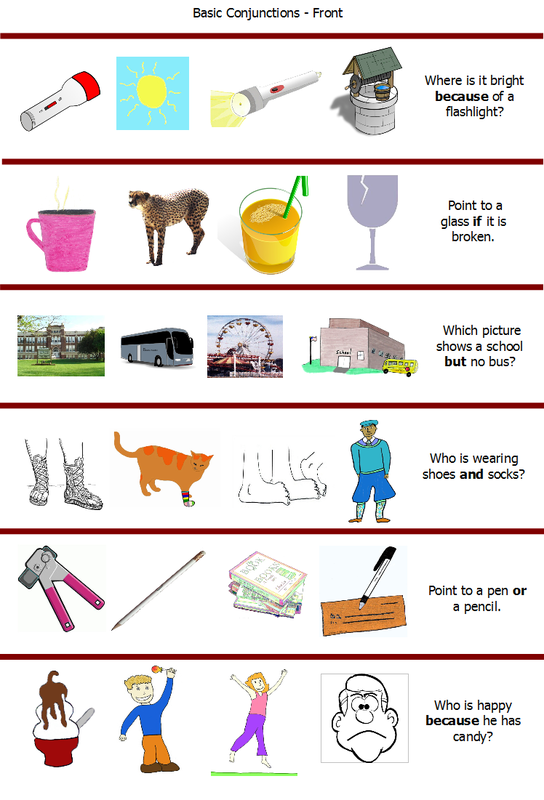 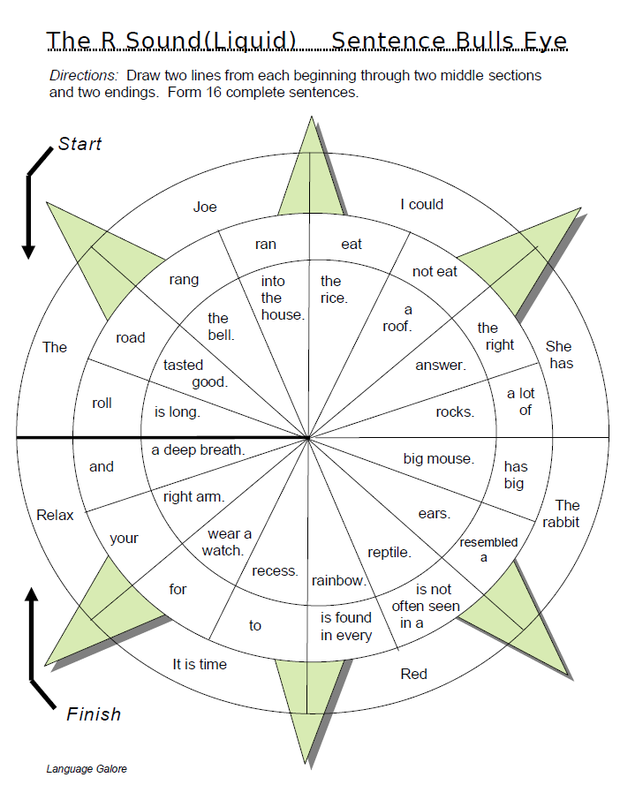 This entry was posted in bingos and tagged educational bingo, grammar bingo, prepositions on Thursday by Paul. 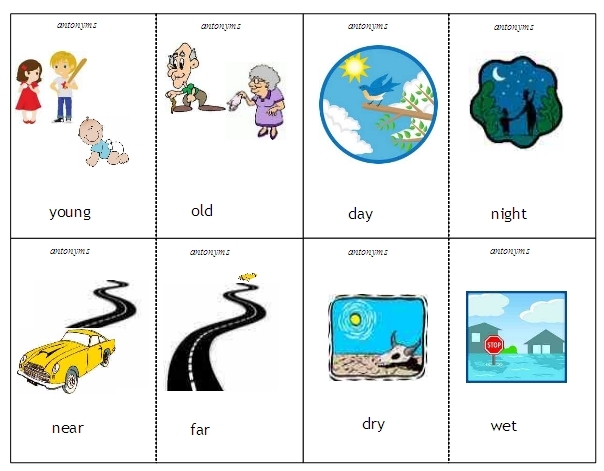 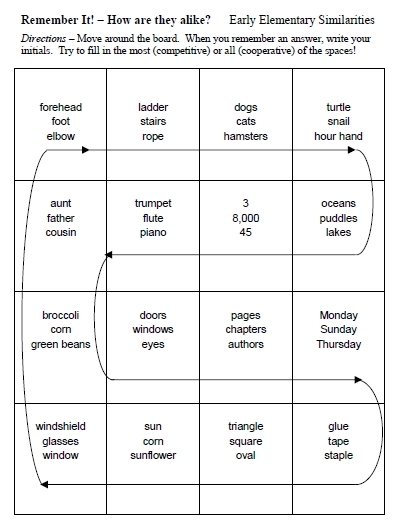 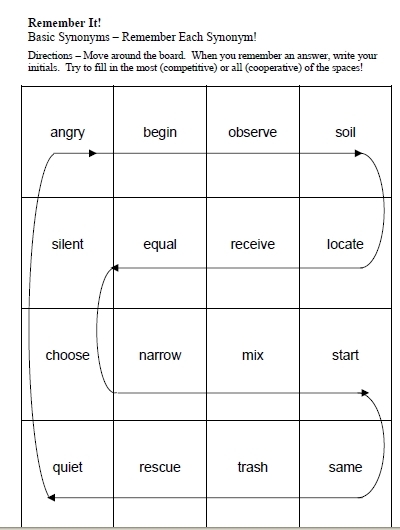 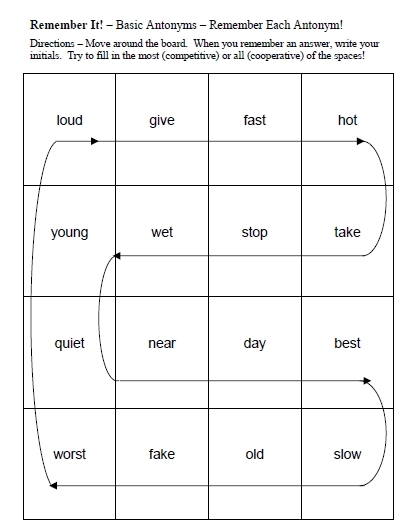 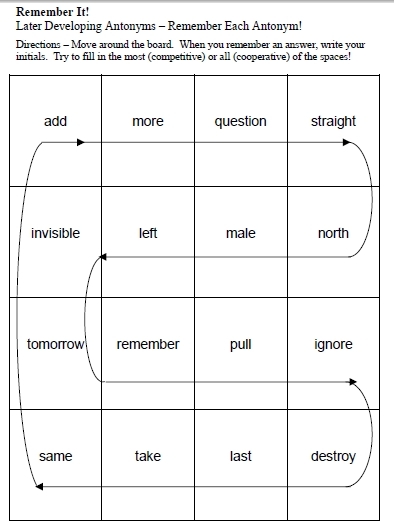 This entry was posted in board games, grid activities and tagged antonyms, Categories, language memory activities, similarities, synonyms on Thursday by Paul. 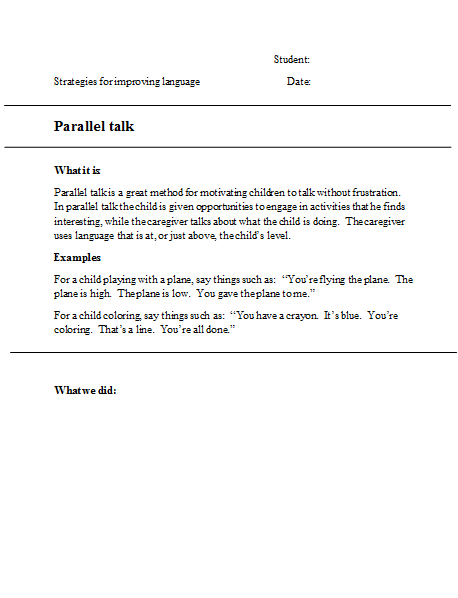 Click on the picture for a small preview, or “Doc” or “PDF” to download document in your preferred format. 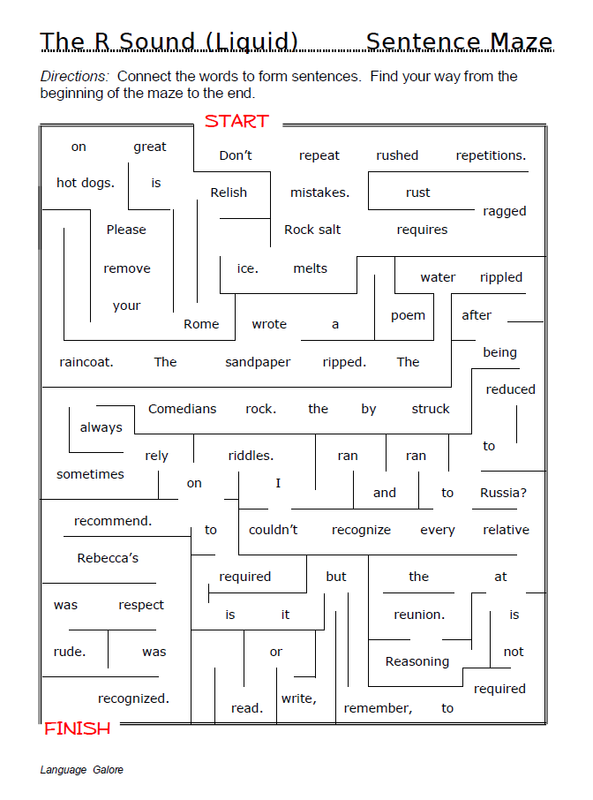 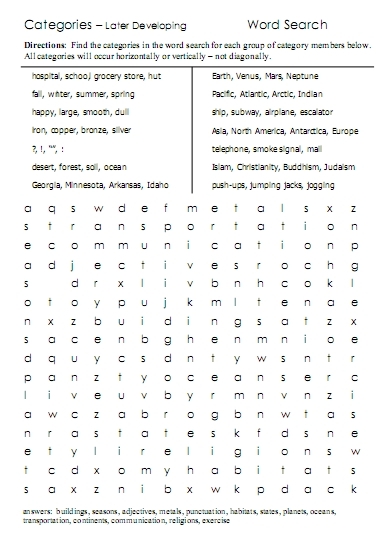 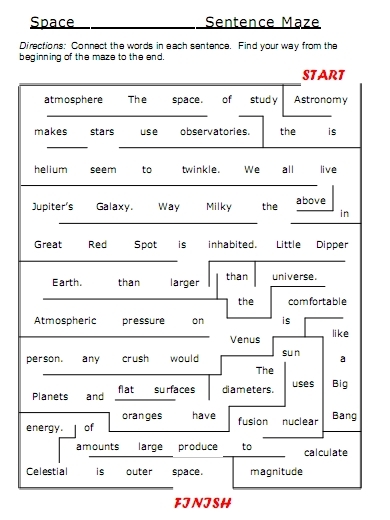 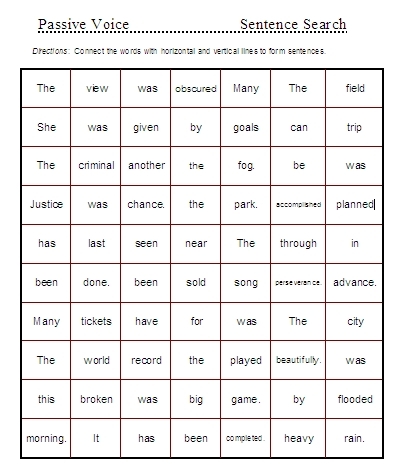 This entry was posted in word searches and tagged antonyms, Categories, irregular past tense verbs, multiple meaning words on Sunday by Paul. 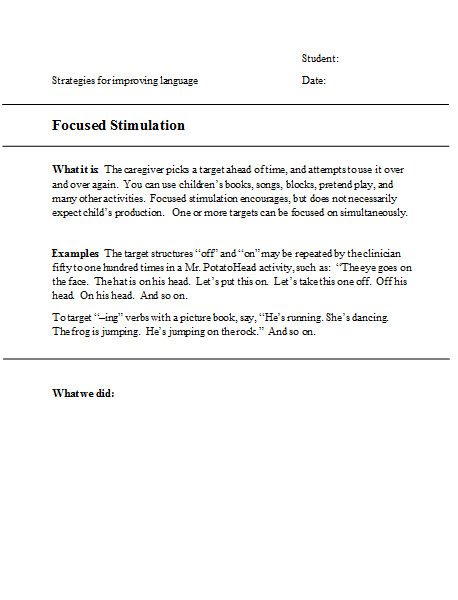 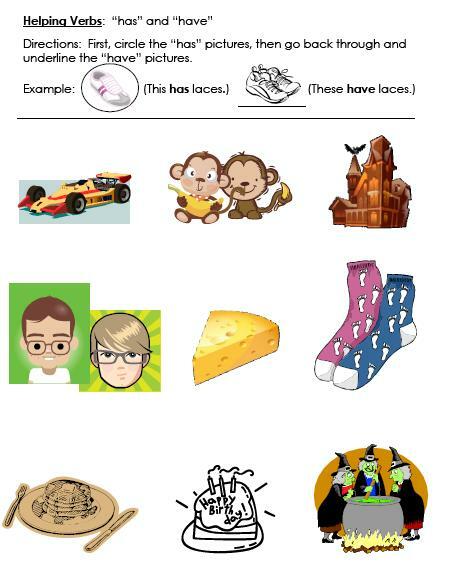 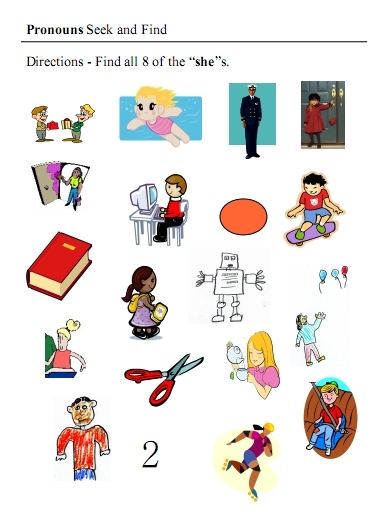 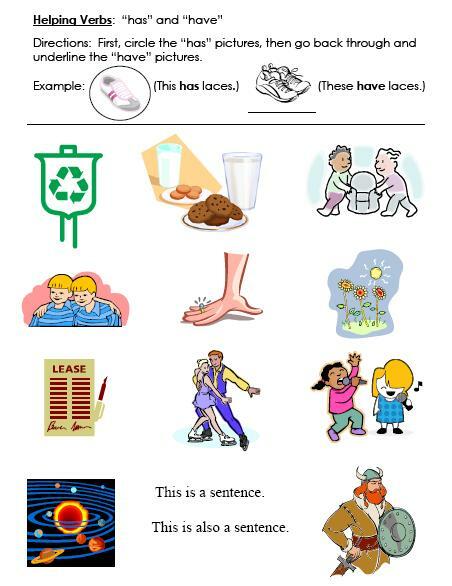 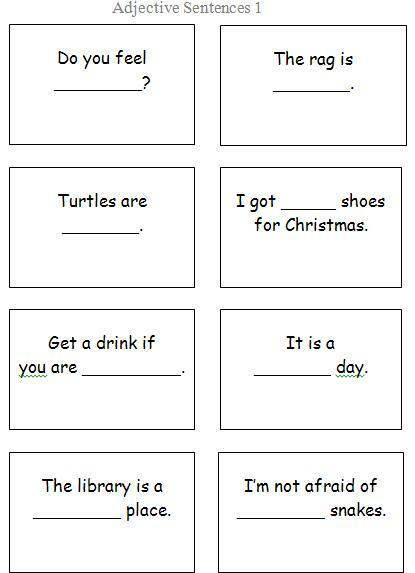 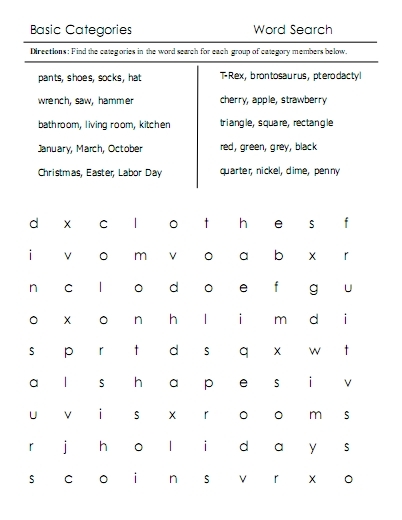 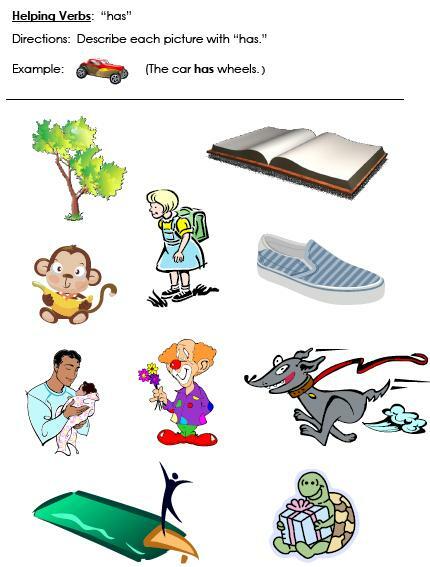 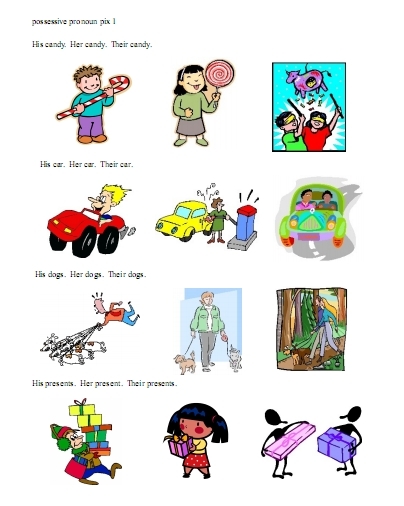 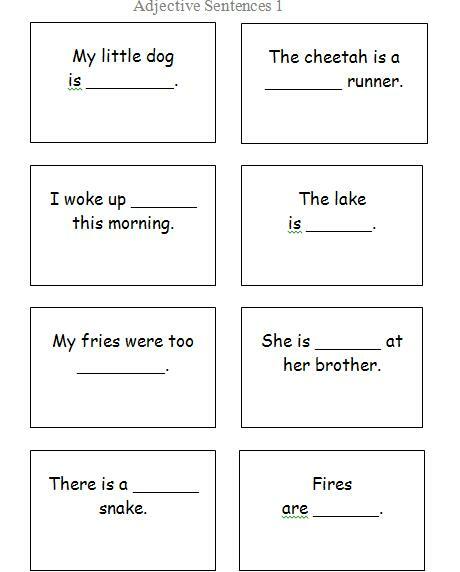 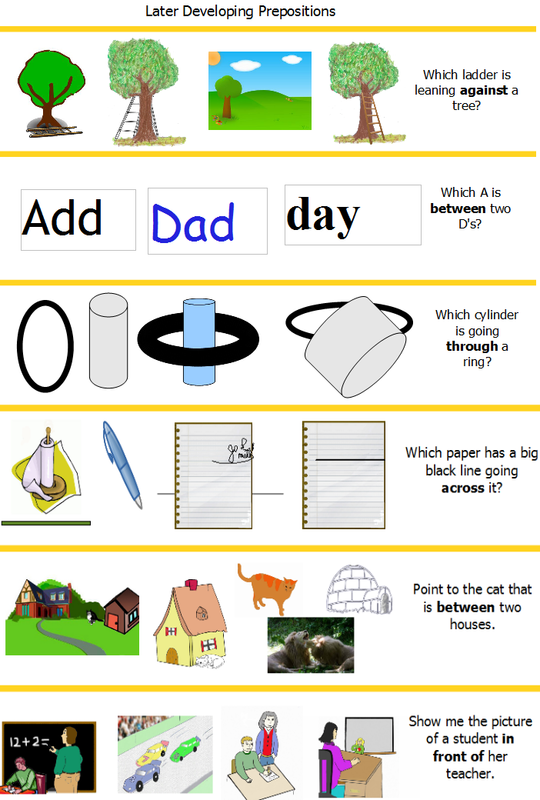 This entry was posted in picture activities, seek and find and tagged pronoun worksheets, pronouns on Thursday by Paul. 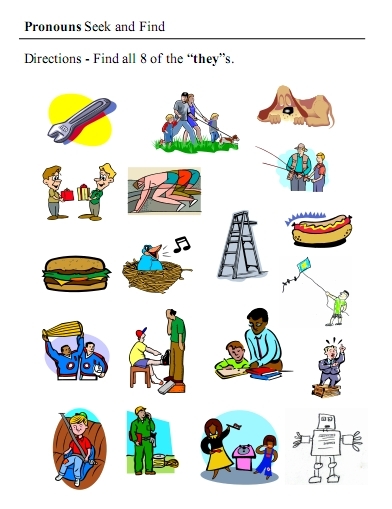 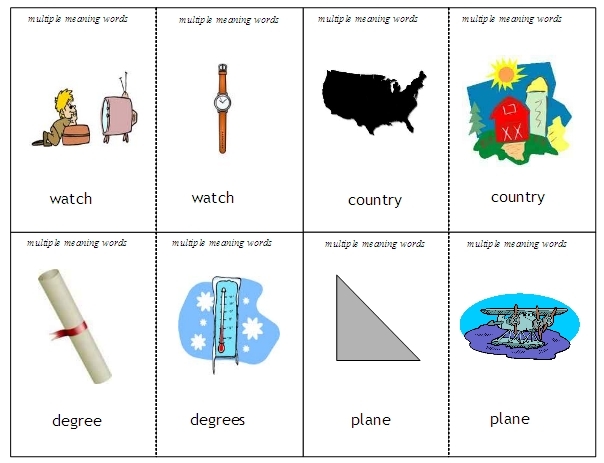 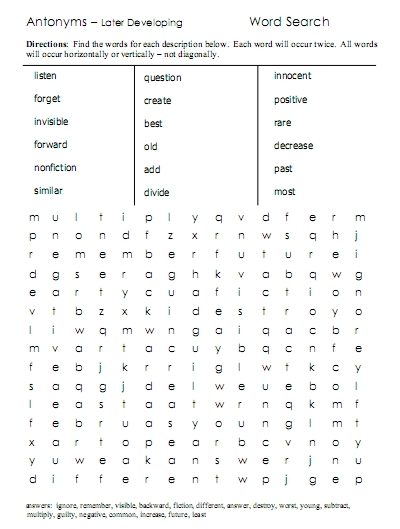 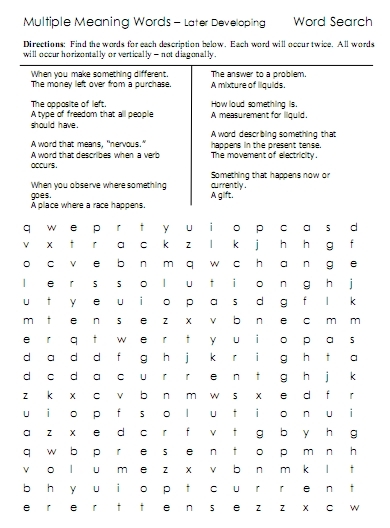 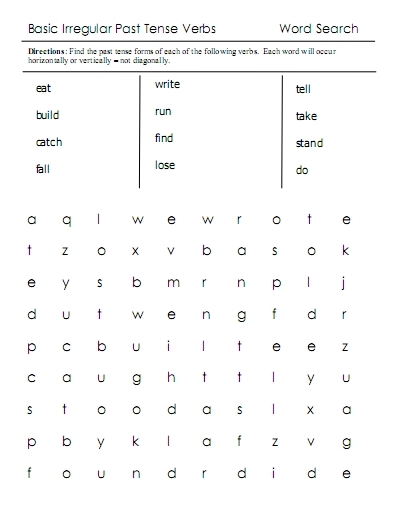 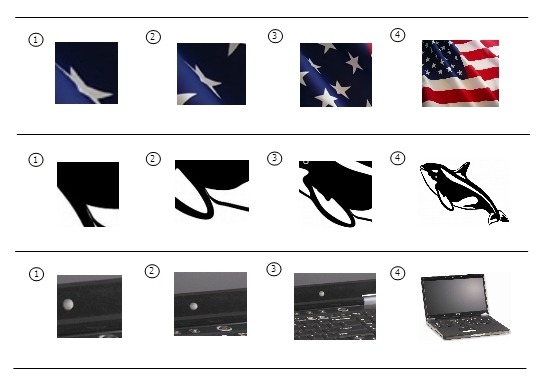 This entry was posted in picture activities, repair activities, seek and find and tagged multiple meaning word worksheets, multiple meaning words on Tuesday by Paul.